My Great Aretha Adventure began when, as a teenager, I longed to learn the mystery behind the beauty of her voice. So, some 40 years ago, I set out to meet her and document her life. It became my mission. On one level, I accomplished that mission. I met her and documented her life. But on another level, I failed. Her mystery, despite my efforts to explicate it, remains intact. “She’s not like other ladies,” Ray Charles told me in 1977 before introducing me to her. At the time, I was ghostwriting Ray’s autobiography and wanted to work with Aretha next. She didn’t. When she entered Ray’s dressing room, she barely glanced my way. After several minutes, I found the courage to ask her whether she was interested in writing a book. She simply shook her head before regally sashaying out the door. I stayed on the case. One day I’d convince her. One day I’d get to know her. One day I’d get the story. For 17 years, I wrote Aretha dozens of postcards and letters, one every six months, promoting myself as the right collaborator for her memoirs. After working with Marvin Gaye, Smokey Robinson and Etta James, I asked each of them to put in a good word for me. When I ghosted Jerry Wexler’s memoirs, I asked him to do the same. They all complied, yet Aretha stayed silent. I befriended her brother Clarence, her sister-in-law Earline, her sisters Erma and Carolyn and her first cousin Brenda. Although I researched Aretha’s life thoroughly, my aim wasn’t a biography, but to work with Aretha herself. I wanted to be her ghost. Of all the great voices, hers was the one I yearned to channel. And then it happened. Before going to Detroit to research a Motown project, I sent Aretha a postcard — probably my two hundredth — saying I’d love to see her. When she called me at my hotel, I nearly lost it. But I held on, spoke to her for over an hour and convinced her that I was her literary man. We went to work on her book. Those close to her said she’d never let down her guard. But that didn’t faze me. I’d win over her trust and charm the truth out of her. I didn’t. I found what we wrote — From These Roots (1999) — shallow and void of introspection. During the process, Aretha and I remained civil to another, but she clearly rejected my approach and fashioned the book according to her fantasy of an idyllic life. That was her right. We’re all free to mythologize ourselves any way we please. 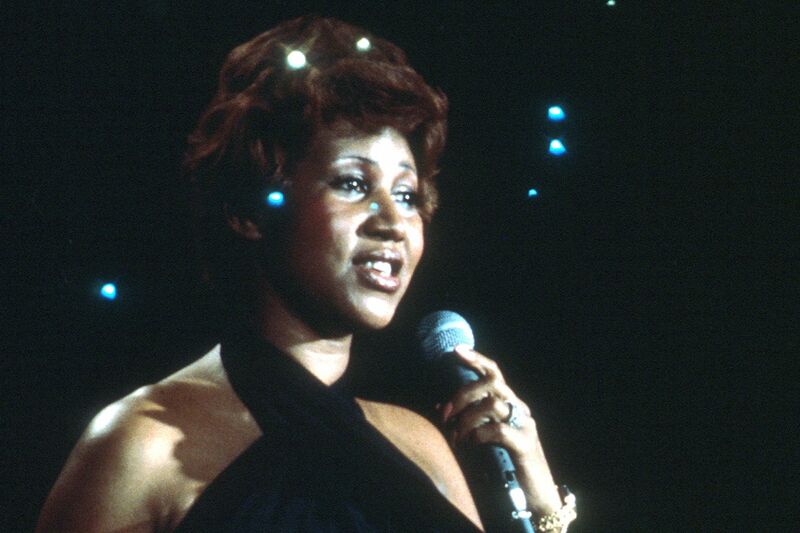 Fifteen years passed before I decided to do my own Aretha biography, resulting in Respect (2014). This time I introduced other voices — her siblings, producers and colleagues — to explain what I understood to be her painfully complicated yet triumphant life. Aretha was not happy with my book and we never spoke again. I regretted her disdain. But as someone who knew so many of her professional and personal intimates — not to mention my first-hand knowledge of Aretha herself — I felt compelled, for the sake of history, to honor what I saw as the deeper story. Aretha wasn’t easy. Like Judy Garland and Michael Jackson, she was a child star, a gospel prodigy for whom adulation came early and never ceased. Extravagant adulation is a viciously difficult phenomenon for kids to process, especially those possessing soaring genius. Aretha was both empowered and confused by her prodigious gifts. The central character in her life was her dad, Reverend C.L. Franklin, a charismatic civil rights leader and nationally renowned preacher who, against the grain of the black Baptist church, saw no reason to separate the seminal forms of African American music — blues, gospel and jazz. He loved them all, loved that Aretha could sing them all, and pushed her into show business as a young teen. The Aretha I worked with for five years was a woman in her early fifties living in Bloomfield Hills, an affluent suburb of Detroit. When she greeted me at the door for the first time, she was all business. She was Ms. Franklin; I was Mr. Ritz. It took months for us to become Aretha and David. The journey from formality to relaxation was the distance from the living room to the kitchen. She was happiest at the stove. A killer cook — I can still taste her vanilla wafer banana pudding — she loved making culinary music. She punctuated her stories with a variety of memorable meals from key moments in her life, describing those dishes with great gusto — the baby back ribs from a Detroit barbecue joint, the pastrami from a New York deli. She also loved to laugh and did so easily. Her humor came in profiling the endearing characters who, like Aretha, were part of her father’s traveling religious revivals — Sammy Bryant, the pintsize powerhouse female singer who could tear the roof off any church, and James Cleveland, her visionary mentor who invented the modern mass choir but loved the raiding the Franklin refrigerator in the middle of the night, devouring every sweet in sight. Resisting self-reflection about giving birth twice before turning 15, Aretha spoke instead of the Golden Age of Gospel that shaped her sound. We sat beneath an enormous oil painting of her dad in his prime — a handsome man with slicked-back hair and scholarly glasses — and listened to the songs of his lover, Clara Ward, Aretha’s idol. Aretha had unfaltering recall of Clara’s brilliant array of robes and hairstyles. I brought tapes of Clara Ward and the Famous Ward Singers. As we heard “How I Got Over” and “Surely God Is Able,” Aretha clapped her hands, stomped her feet and remembered the Fifties as the happiest decade of her life. It was in the Fifties that she met her heartthrob, Sam Cooke, whom she first heard as a member of the gospel-singing Soul Stirrers. When she spoke of her friendship with Sam, her eyes sparkled. As we listened to Sam’s “You Send You,” she swooned like a teenager. Her love of the great sacred shouters — Albertina Walker, Marion Wiliams, Clarence Fountain, Claude Jeter — was matched only by her love of jazz singers Ella Fitzgerald, Sarah Vaughan, Carmen McRae and Betty Carter. On one rainy afternoon, she insisted that we listen to Nancy Wilson’s “Guess Who I Saw Today” five times in a row. “The story gets better with each listening,” said an enraptured Aretha. She knew jazz. Her big brother Cecil had indoctrinated her into the wonders of Miles, Mingus and Monk. During the holiday season, while baking biscuits and a peach pie, she had me put on John Coltrane’s “My Favorite Things,” as she scatted in perfect union to the saxophonist’s sheets of sound. She invited me to a Detroit recording studio where was finessing her lead vocal for a song she’d recently written. It came at a time when we were struggling to find a way to write about her many failed relationships with men. She would not address the fact that her first husband had beaten her. She insisted her former paramours were brilliant and loving men, dismissing the notion that her life had been rife with romantic struggle. The song she sang that day became the title of her album, So Damn Happy. Aretha’s insistence on positivity, even in the face of overwhelming grief, was her life-long strategy for emotional survival. Her positivity was built on idealization. In spite of her parents’ acrimonious split when Aretha was a small child, she dedicated her book to them as “coming together in love and marital bliss.” The glaring contradictions of her father — an intellectual progressive who read Plato, smoked pot and loved many ladies — were too confusing to compute. It was easier, and even necessary, for Aretha to see him as a man without fault. The same was true of her conflicted role as mother to four sons. Avoid the complexities. Call it all beautiful. I sat in the backyard of Aretha’s Bloomfield Hills home. After a harsh winter, spring was afoot. Fresh blades of grass blanketed the landscape. She brought out a pitcher of sweet tea. Her mood was mild, and I thought if there was any time to bring up the most difficult of topics — her father’s tragic fate — it was now. I tried to be gentle. She understood that the drama surrounding his demise could not be ignored. He had been shot in his home during a burglary and lay in a coma for the next five years until he died in 1983. She spoke of the events in a whisper-quiet voice. But in addressing my query of how his death impacted her life, she had no answer. Tears fell from her eyes. Those tears contained volumes of unspoken emotions that would remain unopened, her feelings too intense to be expressed, much less clarified. What was clear was Aretha’s courageous tenacity. She marked the occasion of her being crowned Queen of Soul in 1967 by Chicago deejay Purvis Spann with absolute seriousness. She held on that title for five long decades. When her hallelujah years at Atlantic ended in the late seventies, she called on Clive Davis, who recruited red-hot producers Narada Michael Walden and Luther Vandross to revive her career. During the winter of 1998, I traveled with Aretha to New York where she was to sing at the Grammys. She was in high spirits. At a MusiCares charity concert, she sang “Nessun Dorma,” the Puccini aria, which she’d prepared with a vocal coach in Detroit. She sang splendidly. We dined at Le Cirque 2000, one of the city’s toniest restaurants. Over a sumptuous five-course meal, she renewed her vow to overcome her fear of flying and return to Paris, where she hadn’t performed in 30 years. At the Grammys, she rendered a rousing rendition of “Respect.” A half hour later, Pavarotti was set to sing the same “Nessun Dorma” Aretha had sung three days before, but cancelled at the last minute. Aretha was asked to replace him. In her dressing room, seated before a mirror, she breathed deeply before turning to producer Ken Erhlich to ask a single question. Would the orchestra be playing the same arrangement she had used at MusiCares? They would not. Different arrangement, different key, bigger orchestra, not to mention the addition of a 20-voice choir. Was there a recording of the arrangement? Yes. Erhlich handed her the tape. How long before she was to sing the aria live for a worldwide audience of untold millions? Twenty minutes. “Fine,” was all she said. She did. Her epic rendition had fans cheering, critics crowing and angels weeping. It was as though Puccini had been brought up in the black Baptist church. Just as she avoided detailing her private struggles, she refused to document her heroic health battle. She stayed firm; she stayed positive; one day she would be healed completely; one day she would open a fashion boutique and a downtown Detroit nightclub; one day she would produce her biopic, telling her story according to her own lights; one day she would conquer her fear of flying and, once again, take Paris by storm. Her reign would never end. The power of her voice would never diminish. The pure joy of her artistry would last forever.